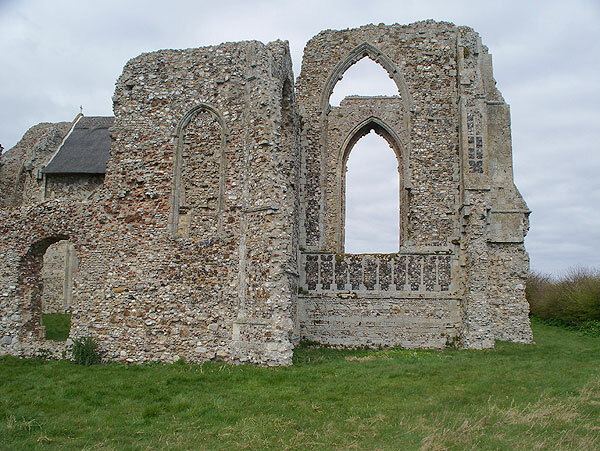 The ruins of a 13th century Premonstratensian abbey were converted into a Tudor mansion, known as Place House, with a grand turreted gatehouse constructed across the nave. 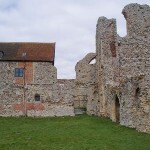 The house was dismantled after 1781. 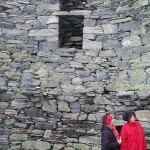 The remaining structure, with towers, is quite impressive and well worth a visit. 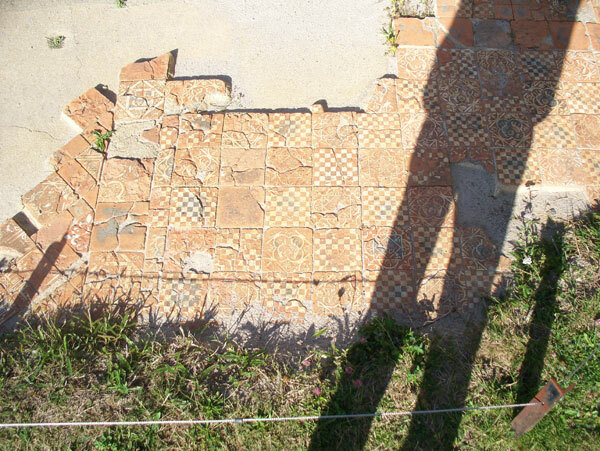 Still in position are fragments of tiled floors. 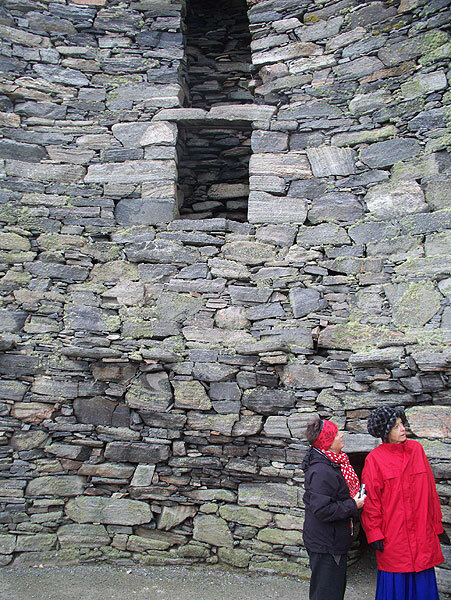 A free downloadable audio tour is available from the EH website. Directions: Sat-nav delivers you outside the property, but the entrance, opposite a pub and to the right of a garden centre, is quite difficult to spot. If you drive through the narrow gated entrance, you should be able to park onsite. Admission is free. 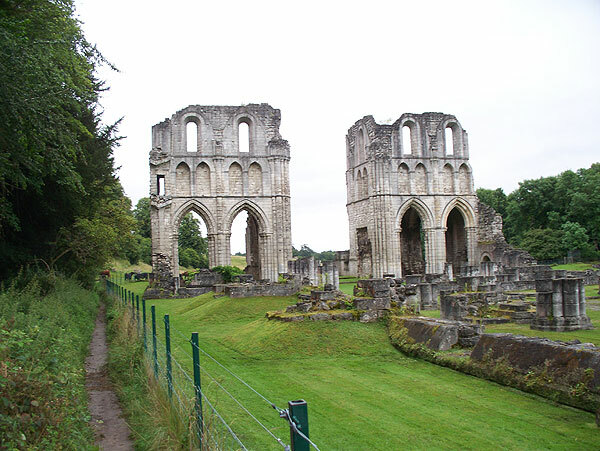 This was once a famous priory and place of pilgrimage. Now only part of the refectory wall survives. 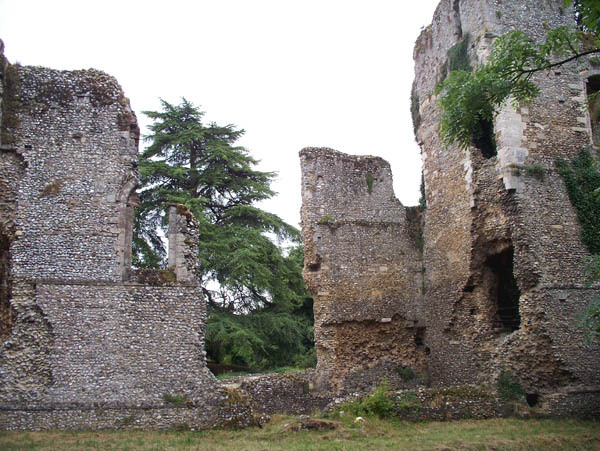 Casual visitors may feel that tracking down and viewing this ruin is more trouble than it was worth. 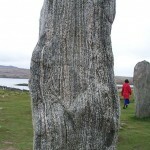 Some carved features remain. Directions: The postcode takes you to a layby on the main road, alongside a long wall. 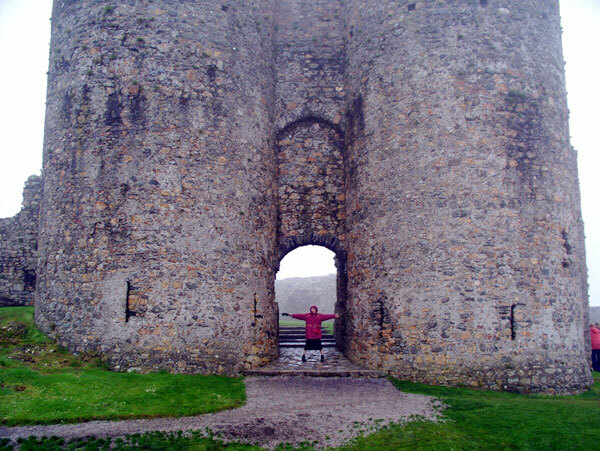 The entrance is from Southwick village (right at roundabout, following the long wall). Park in the village car park. 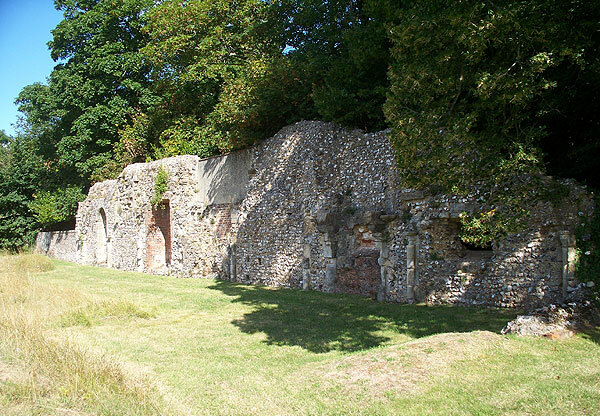 The entrance to the ruin is an inconspicuous metal footpath gate directly opposite the car park entrance, to the left of the sawmill. The EH sign is a few feet inside the gate. Follow the path through the wood. When you emerge at the golf course, the ruin is to your right. 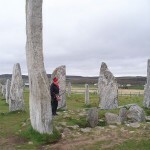 The Callanish standing stones (Calanais in Gaelic) are a cross-shaped array of slim stones, centred on a circle of taller stones. 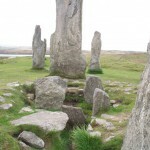 The remains of a chambered tomb are in the centre. 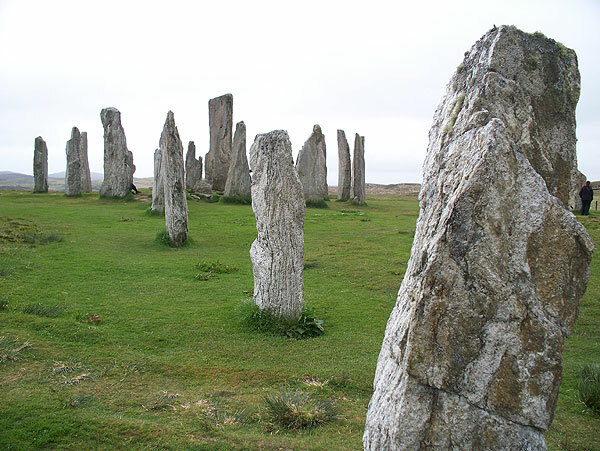 They were erected 4500 to 5000 years ago, making them one of the oldest man-made structures in Britain (or anywhere). 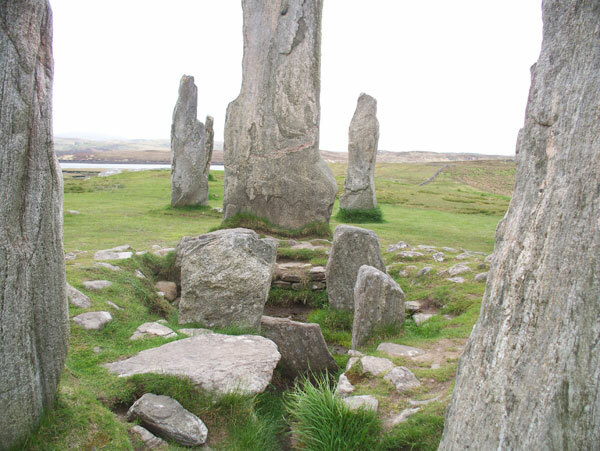 About 1000 years after it was constructed, the site was abandoned, and with a change of climate, the site gradually became blanketed with peat to a depth of about five feet, partly burying and preserving the stones. 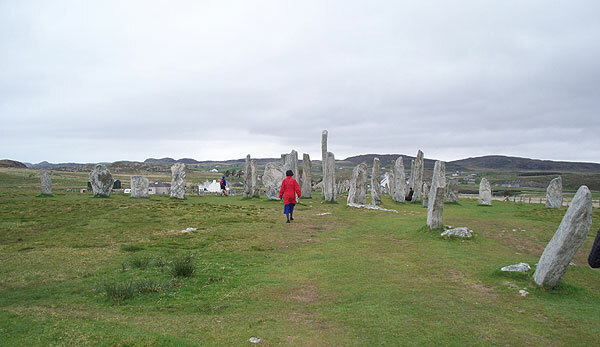 In the 19th century, with greater interest in monuments, the peat was removed and the site taken into State care. 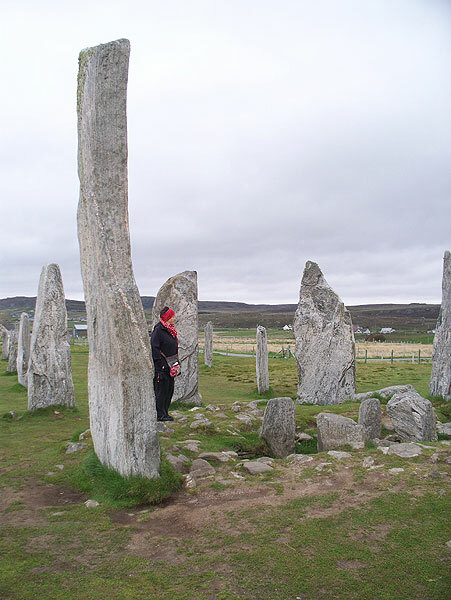 The tall slim stones, with their mysterious alignments are an unique and striking sight. Well worth a visit. There is a car park and visitor centre nearby. 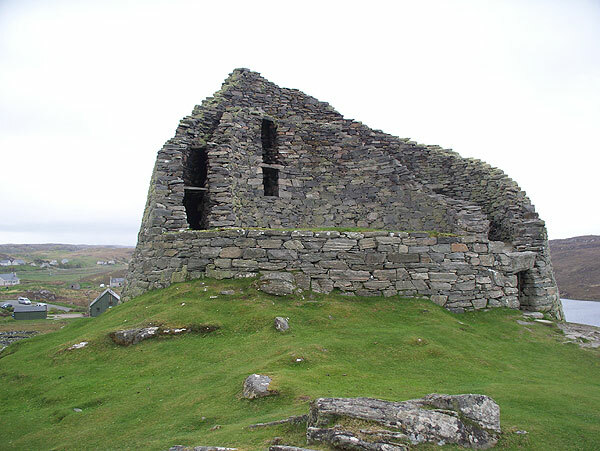 This broch, one of the best preserved in Scotland, is near the north coast of Lewis. 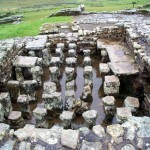 It was probably built in the first century AD and remained in occupation for some time, till the floor level became too high because of occupation layers. 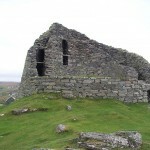 It was last used as a stronghold in 1601, so presumably was largely intact at that time. 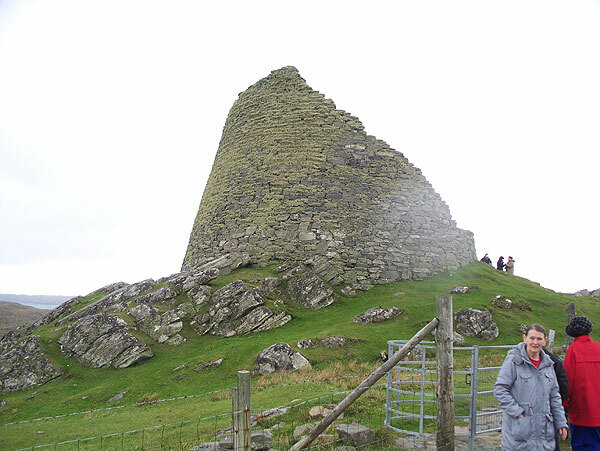 Afterwards, the broch was partly destroyed and used for building stone. 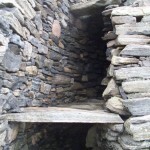 Originally it is thought to have had tapering hollow walls, with a conical roof of timber and thatch on top, and at least one upper wooden floor. 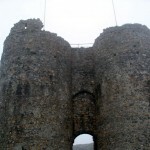 Staircases within the double walls gave access to the upper levels. 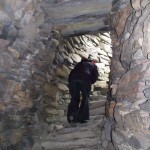 The lower parts of the staircases still exist. Inside, at ground floor level are several openings. 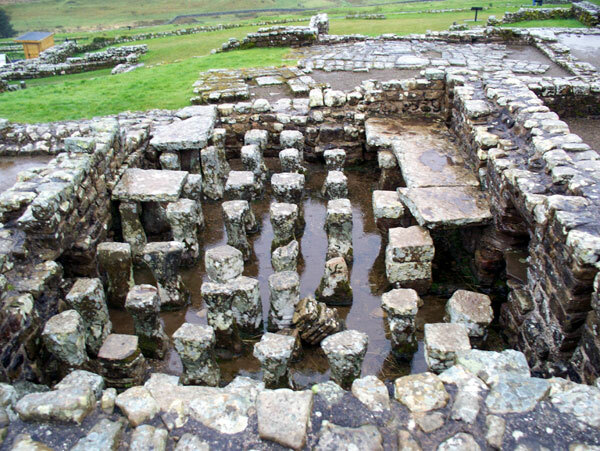 These give access to a small guard room, the staircase, and an oval room where traces of peat ovens were found. It is possible to climb onto the structure. 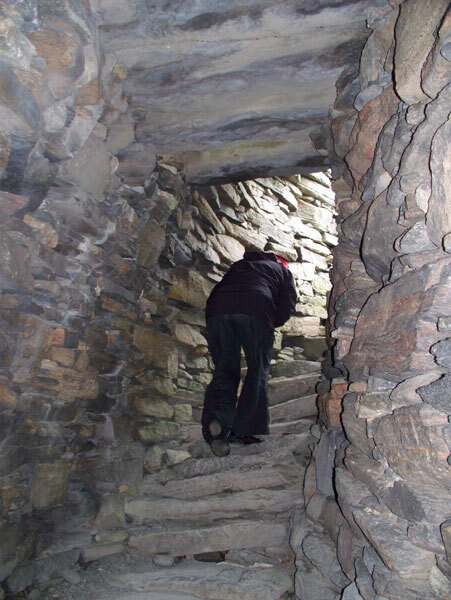 Surprisingly, there are no signs telling visitors not to climb on the broch. Because of its rarity, this is a most interesting visit. There is a visitor centre nearby. 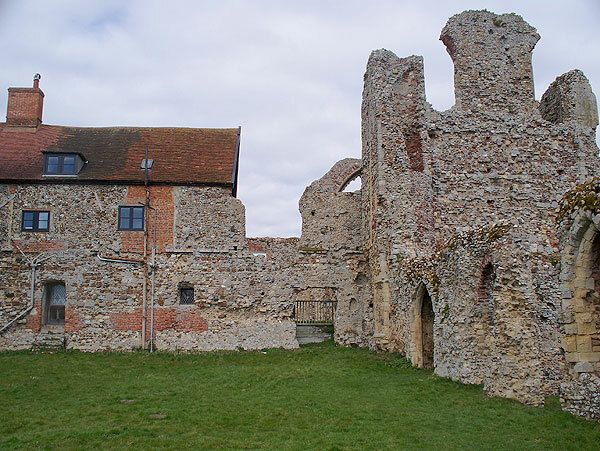 Bishop’s Waltham was a medieval palace used by the wealthy Bishops of Winchester. Also on the site is the Bishop’s Waltham town museum, in a farmhouse adapted from the palace’s lodging range. 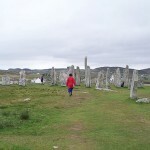 There are extensive ruins of this large palace still standing. I happened to be nearby in the early morning, so had a look over the wall, but was not able to get inside. Worth a look if you are in the area. Admission free. 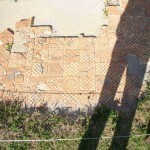 Fragments of the wall remain at various places along its 71-mile length. 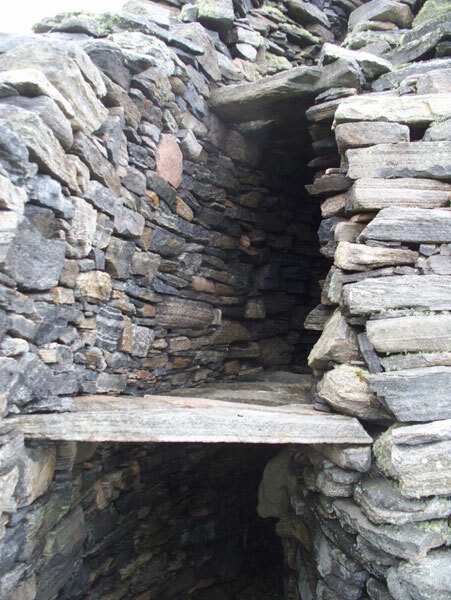 However the most substantial remains are in the uplands where it was most difficult to rob the wall for purposes such as road-building, farm buildings and field walls. To the disgust of antiquaries, a lot of the wall disappeared when a military road was built alongside it in the 18th century. 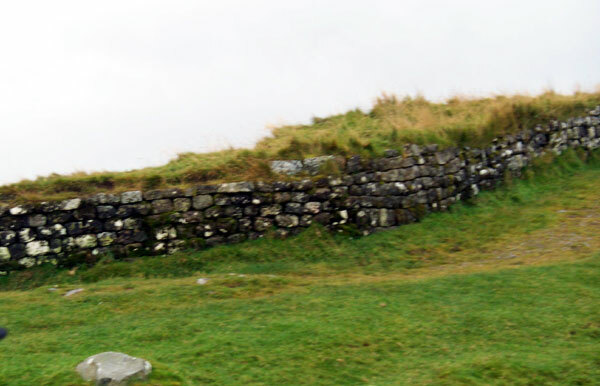 At Housesteads, sections of wall remain to a height of several feet, and the complete outline and foundations of a Roman wall fort can be seen. The land is now owned by the National Trust. 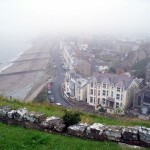 There is a National Trust building beside the car park, and a English Heritage museum and ticket office near the fort and wall, about half a mile up the hill. 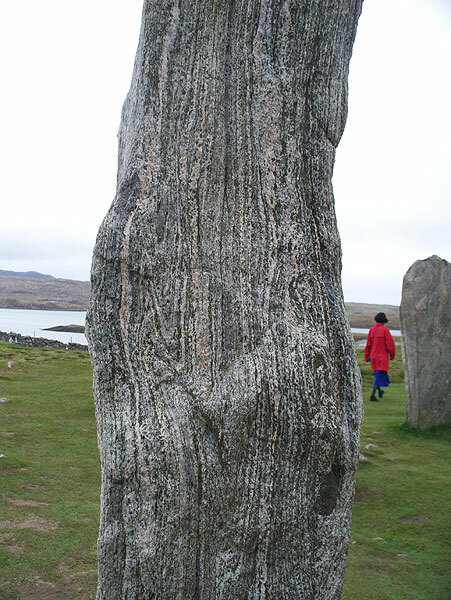 It’s well worth making the effort to visit the site (unless it’s pouring with rain, as it was during my visit). 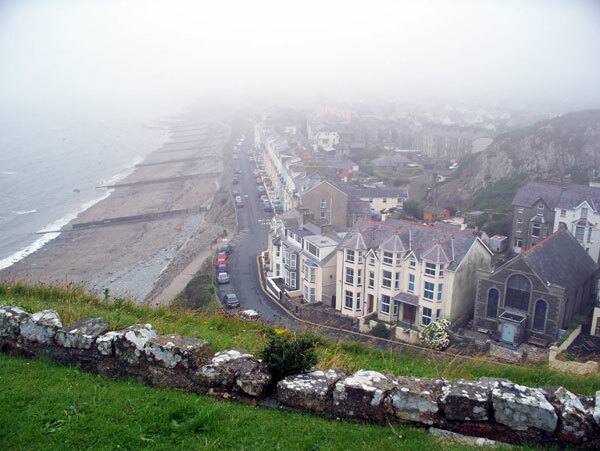 While travelling there, look out for the vast Roman ditch systems alongside the road that runs parallel to the Wall. 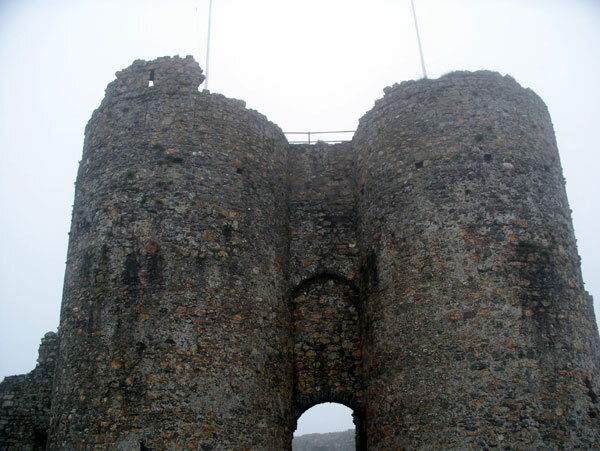 Two more forts, walks, and a view-point are within a few miles, making the area a candidate for an all-day visit. 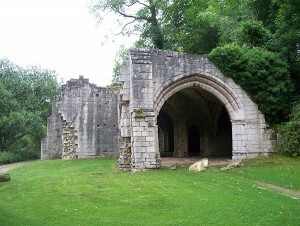 An Augustinian abbey, dissolved by Henry VIII. 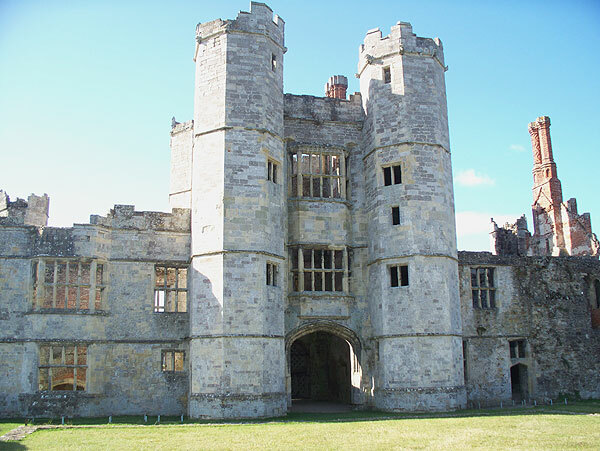 It was later adapted as a Civil War stronghold. 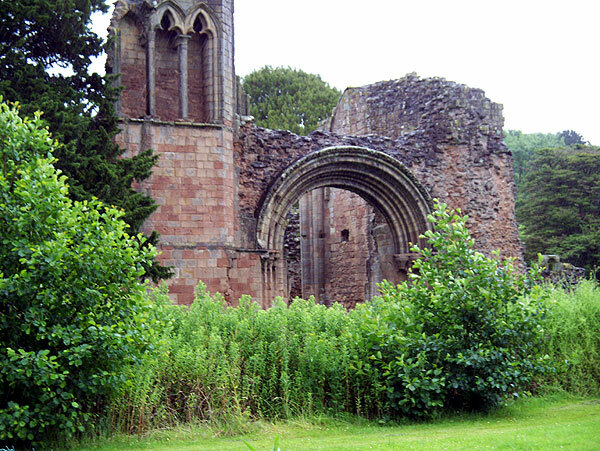 Substantial ruins of the Abbey church and other buildings remain, in a deeply rural setting. As one enters the nave, an inconspicuous spiral stairway on the left leads up to a viewpoint high up on the wall. There are some elaborately carved doorways. It’s worth a visit if you are passing near Telford.